This is a shield-shaped Toledo Painters Association porcelain sign. This particular Toledo Painters Association sign is blue with white text. 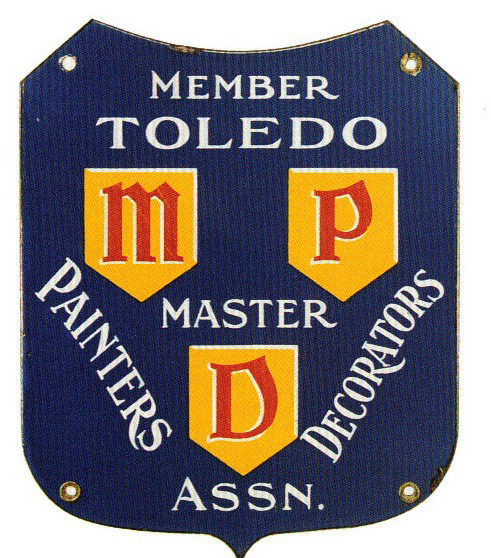 It reads, “Member Toledo Master Painters, Decorators Assn.” and features yellow and red “M, P, D” blocks in the center of the sign.